Domain flipping is one of the lucrative online businesses which can provide you long term income with very little efforts. 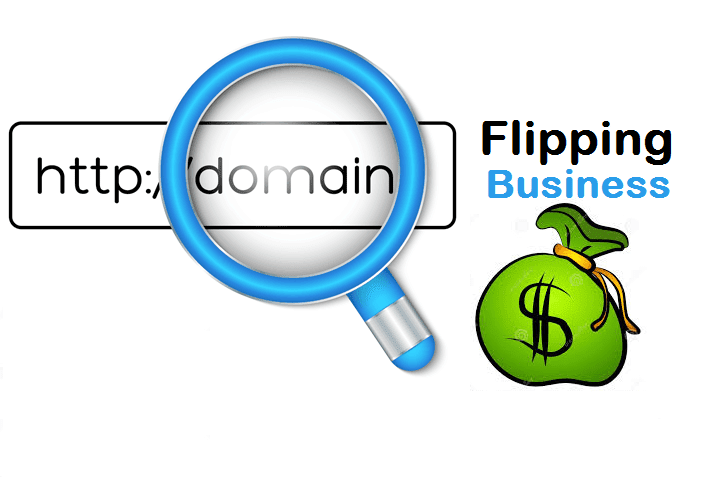 No wonder, people are exploring domain flipping business in order to make some easy money. And most striking part of domain flipping business is that, it does not require much time to invest. Therefore even if you are doing a full time job or other business for living, you can still start domain flipping and make profit. 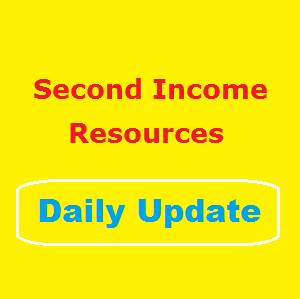 However there are certain basic things that you should keep in mind which I am going to elaborate in this exclusive blog post about domain flipping business for second income source. Before you get to know about domain flipping, you need to understand what is flipping actually. In general flipping is a process which involved in buying low and selling high. And when it comes to domain flipping, the concept remains the same i.e. you need to buy domain names at low price and sell the same at higher price. Sounds quite simple right? Yes it is truly very simple business provided you have a logical mind in your head! I am quite sure you have that. Domain flipping business mainly involves three major steps. These are buying the domain, listing domain in market and selling. Among those three steps, buying the domain name is the most crucial. You need to do all the necessary research before you decide to buy a domain name. Success with domain flipping business will depend on that. There are certain factors that you should keep in mind while selecting a domain. For example, it is noticed that domain name buyers prefer dictionary word domain. So while registering your domain, try to avail a dictionary domain if you can. At the same time, you also need to remember the domain name is easy to pronounce and remember. These are some vital factors which domain buyers look at. If you provide them domain names according to their requirement, you can certainly get a higher price. Another factor which greatly decides the domain name price is the domain metrics. An aged domain with good SEO metrics has more potential to sell at high price compared to a non SEO domain. So whenever you come across an aged domain with decent DA, TF value; try to grab the domain if it is within your budget. At the same time, don’t get trapped into a bidding war. You should always keep yourself away from any kind of bidding war at any cost if you want to succeed with domain flipping business. Also it depends on your budget that how far you can bid for a particular domain. When it comes to domain flipping marketplace, there are few places where you can find active buyers and sellers. I would suggest you to look at these three places mainly in order to flip your domain names. These are Flippa.com, Namepros.com and Digitalpoint forum. These three marketplaces have the most active members when it comes to domain buying or selling. Among these marketplaces, some will offer their domain listing services for free while some will charge you a fee. You will also need a PayPal account (business account preferably) for the online transaction. Although PayPal is secure for online transaction, but for high value domain name transaction, you should be using service like Escrow to avoid any kind of disputes in payment processing. If you want to take domain flipping business to next level, you need to have your own domain marketplace where you will list your domains. In order to start private domain listing, you should have minimum of 100 domains at least. Hence this option is surely not for the beginner who want to make money. However if you like domain flipping business model and want to boost this business model revenue, private domain listing can be very useful option for you. Because when you have your own listing place, it will be much easier to advertise your domain names. And only by proper advertising such as SEO, PPC, you can reach premium domain buyers who are ready to pay you premium fee to acquire domains. These kinds of domain buyers are super rich and don’t have enough time to browse marketplaces like flippa, namepros or digitalpoint. The only way to reach them is through private domain listing. For example the domain 360.com was sold at $17 million. No doubt one domain sell like that can change your life forever. With over 326 millions domains registered till 2016, this market is always growing at a rapid speed. This is the perfect time if you want to venture into domain flipping business. And I am quite sure you already got the required information that will help you to start strong in this ever growing internet business. Hey, I came across through google and found this very noticeable post, very helpful too. Looking to move forward to do this business. Thanks for sharing. Can I list domain on my own blog?